I need more people who want hand-me-down computer equipment, and are willing to come and get it. Especially the antique or odd stuff. I hate the idea of giving it to a reseller or scrapper. ... free to a bad home, for that matter. I honestly don&apos;t care what happens to them after they leave my custody. Free to a good home, provided you come get it or it&apos;s convenient for me to drop it off. I&apos;m at the north end of Lake Washington. I was wrong. 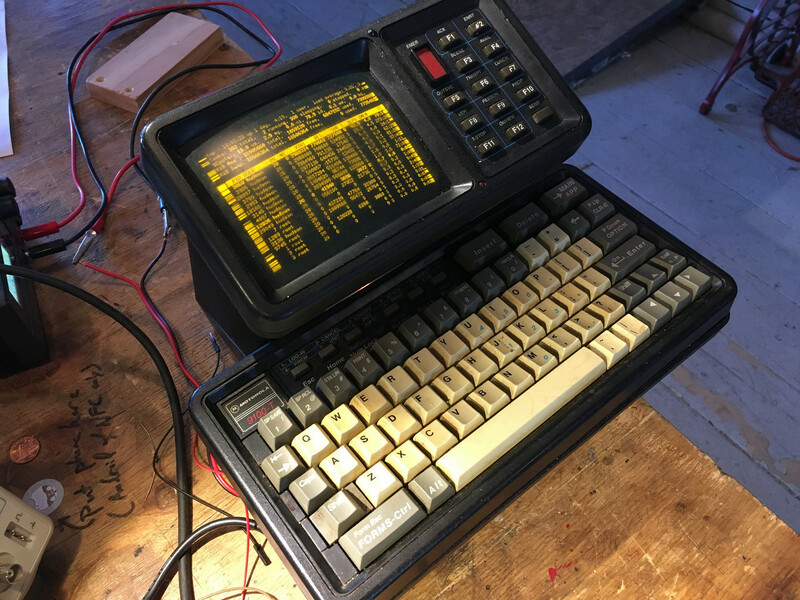 What I thought was a VT100 terminal is, in fact, an NCD15b X-terminal. The Clacks has been upgraded to 2.7.0, fwiw. So, I&apos;ve got a pizero hooked up to a monitor, displaying a status board (mostly cpu temps for all the servers, plus nat network traffic graph). I also have a few antique serial terminals (a zentec adm 12plus, a wyse wy60, and some generic vt100 thing), which I really like the idea of making use of.. I just can&apos;t think of anything useful to do with them. What I just realized is that... it turns out what really enjoy is sysadmining minecraft servers. That&apos;s why i&apos;ve been putting so much effort into getting them to run on my arm-based docker cluster and so forth. Or, servers in general. I play with setting up a docker cluster and running things on it as a form of game, not because it&apos;s actually _useful_ in any way: I don&apos;t use it for real projects, I don&apos;t use it at work, I don&apos;t need docker for anything, it&apos;s just a toy. It&apos;s a video game. I had one of those "I knew I was doing that, but now I _know_ I was doing that" realizations just now. I enjoy playing minecraft. In theory. I was doing so last night, in fact, and got bored pretty quickly. Because I&apos;ve built these giant ridiculous worlds with giant ridiculous megastructures, but nobody else plays them, so what&apos;s the point? But I still think of myself as someone who runs minecraft servers and enjoys playing minecraft. Hello, My Name Is Java Sunmicrosystems, And You Might Remember Me From Such Films As "3 Billion Devices Can't Be Wrong" and "Researchers Find Critical Vulnerability in Java 7 Patch Hours After Release"
I&apos;d switch my personal theme song from Coulton&apos;s Skullcrusher Mountain to Gaga&apos;s Applause, but I&apos;m afraid my employers might take it into consideration when deciding on my pay raises. I finally found one of the @tootapp Easter eggs - a beautifully rendered billiards game with balls made from friend avatars! The phrase "first world problem" has always bugged me. The whole first/third/etc world thing, really. So maybe I&apos;ll start using #richassholeproblems instead, as I complain about the problems with convenient internet based food delivery services. Re: Drive - I&apos;m kinda baffled by some of the comments that express surprise. I mean, this wasn&apos;t even _telegraphed_, it was JUMBOTRONED. It was Vogon planted-wide PA&apos;d. How didn&apos;t you see this coming?